We are a multi-generational and multi-ethnic family that hosts 5 weekend worship services. Newlife Church is Elder governed and Staff led. We believe that God calls, and the Holy Spirit equips both women and men to lead across all facets of church life. Elders are elected by the congregation and are responsible with the Lead Minister for setting and monitoring the strategic direction of the church and providing spiritual oversight. The primary role of our Pastoral Staff is to equip the people of God for the work and privilege of ministry. Our Staff is led by our Lead Minister, Rev Stu Cameron. Originally from South Australia, Stu commenced in his role in 2006. He is married to Sue, and they have two young adult children, Joel and Emily. Stu brings to his role extensive leadership experience, a passion for preaching God’s Word and an infectious enthusiasm for mission. Newlife Church is a congregation of the Uniting Church in Australia (UCA). The UCA was formed in 1977 by the coming together of the Presbyterian, Methodist and Congregational churches. The missional and ecumenical vision of the UCA is beautifully articulated in The Basis of Union. The UCA has a reformed and evangelical theological heritage, with John Wesley’s sermons and the Westminster Confession among its confessional documents. In addition to these full time staff, Newlife is blessed with a number of other pastoral and administrative team members.  Keep up to date with everything happening at Newlife with our free mobile app, our Facebook group or by joining our email list. We believe prayer is the lifeblood of a healthy, growing church. Join with us as we pray for our church and for others. Many of our church families enjoy the convenience of online giving to the continuing mission of Newlife in our local community. Each of us has been gifted by God and each gift has its corresponding service.